You know to this day people all around the World still possibly daily refer to him as “Hootie” and not by his given name. But that is one of the drawbacks of being a singer in a band. Sometimes your name can get lost in shuffle. Missed by millions when even on the CD cover it lists you name as Darius Rucker, not “Hootie”. You have to wonder if anyone ever called Ian McCulloch by the name “Echo” since he fronted Echo and the Bunnymen. But even with the common name snafu hitting his ears every day, you have to think Rucker has risen above the strife and is feeling pretty good about his solo career. Sure the South Carolina native might get a little annoyed at the constant name misfortune, but after 5 studio albums and 6 Top 40 chart hits…you can let some things slide. 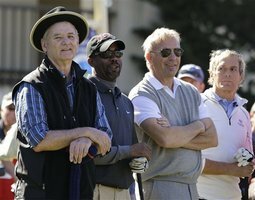 Rucker also has a unique Rays connection line having just playing in a golf foursome with Rays fan Kevin Costner and Bill Murray at the PGA Pebble Beach National Pro-Am where Rays All Star Third Baseman Evan Longoria also attended. Rucker name has been “officially” announced by the Tampa Bay Rays (I told you via Twitter months ago) for the Saturday, May 14 show after the 4:10 pm Baltimore Orioles contest. Especially great is that on May 13th, Rucker will celebrate his 45th birthday (May 13,1966). So maybe Rucker and I can celebrate together since that concert date is also my birthday. Since the Rays have gone 0-13 on that date (May 14th), possibly Rucker & I can high-5 after he helps us break our losing streak on that date (I am betting on it). Most people might not know that Rucker finished his first solo R&B album back in 2002 and the album did not chart any of the singles. Then six years later after signing with Capitol Records and redefining himself more towards his Southern roots, his first single “Don’t Think I Don’t Think About It” showed if he stayed true to his country twang, he was on the road again to stardom. Another really amazing thing to come about after the release of this first single off his “Learning to Live” CD is that Rucker became the first African-American artist to chart a number 1 hit since ex-baseball player Charlie Pride back in 1983. Suddenly the World rediscovered Rucker in this solo light and he also had hits like “It Won’t Be Like This for Long” and “Alright” shoot up the charts to the top spot, with “History in the Making” falling just short at number 3. Still the rejuvenation of his music also made him the first African-American artist to ever win the New Artist Award at the CMA Awards in 2009. It was also only the second time that an African-American singer had ever won an award from the Country Music Association (Pride was also the first). His latest Cd ” Charleston, South, Carolina 1966“ pays homage to his hometown and the year of his birth. You can bet his father, who Rucker only saw on Sundays since he was a singer in the gospel band called “The Rolling Stones” is now glad his son decided to follow his childhood dream of singing. 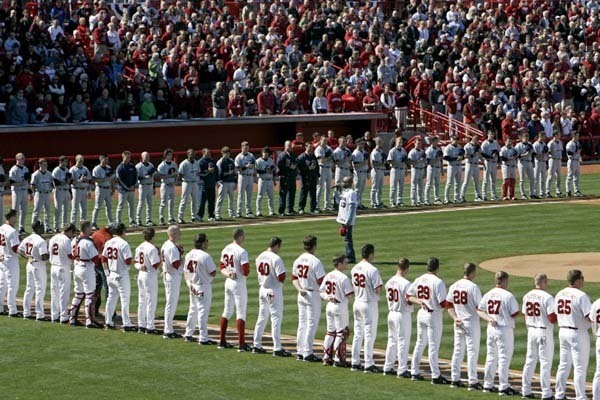 Looking forward to hearing Rucker sing in Tropicana Field,. I am wondering if it will happen on “Country Night“, or possibly the popular “90’s Night“. No matter what themed night Rucker performs on it has to feel like a million miles away from his stint on the celebrity “Who Wants to Be a Millionaire?” , as the singer at Tiger Wood’s wedding (along with the rest of the Blowfish) or as the chicken tender crisp cowboy on a Burger King television ad. Rucker, an avid sports fan who has the Miami Dolphins logo tattooed on his body knows that when life throws you a curveball, you just lean back and crank it to the Moon. That is the type of clutch singer who could end a Rays May 14th losing streak. Heck, maybe we can get lucky enough to hear Rucker do another stirring National Anthem like the one he did at this year’s past Sugar Bowl game in the Superdome. He sure sounds amazing in domes! Hootie isn’t Hootie anymore? See what I learn from reading this blog? 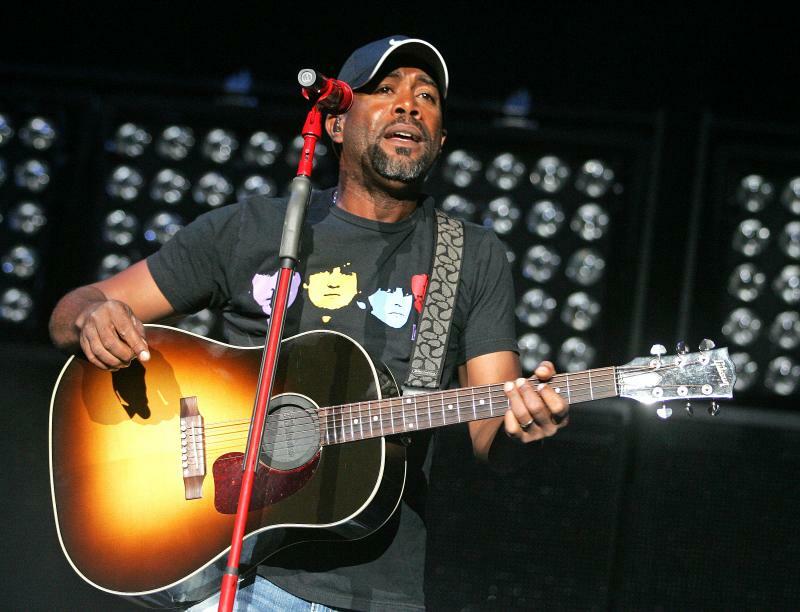 Hate to be the bearer of bad news…Hootie has left the building. I like that every once in a while I can bring something new to the table that even a reknowned author like you did not see yet….I love the Internet! I can’t listen to music while at work but I’ll check it at home. Hey! so will you apply for that job? You’d be perfect! Check my blog tomorrow for that answer. I have been told I was perfect for a dozen jobs over the last three years….I am stillwaiting (lol). I will come by the tub soon. Glad to see you are back. I kind of lost sight/touch of Rucker’s music there for a bit, but he has come back strong as a bull. It’s good to see him still doing it and not being the one hit wonder. This may be TMI, but I made out with a lot of girls while Rucker was singing in the background… oh those were the days…. Funny you should say that. The moment I heard his first song as a solo artist as a R&B guy….I was worried. But I guess the move to Capitol Records and his change to Country, which he grew up on along with gospel did the trick. Watched his videos again last night and they got me excited to see him live in concert….Maybe we will both have a great B-day now…mine with Rucker & a Rays win. I think more than a few of us can be charged with that heinous crime. I did something a bit worse..I had my old garage band cover a few “Hootie” song to entice the ladies……It worked.